Print a copy for yourself. Return the completed form to the Alumni Association. Held each year in July. The Alumni Association annually sponsors two high school scholarships in honor of Elmer McLaughlin and Woodro "Dutch" Stalder. If you would like to contribute to either fund, please send your check, along with your Alumni Banquet reservation, to your class representative. Make checks payable to the scholarship fund of your preference. 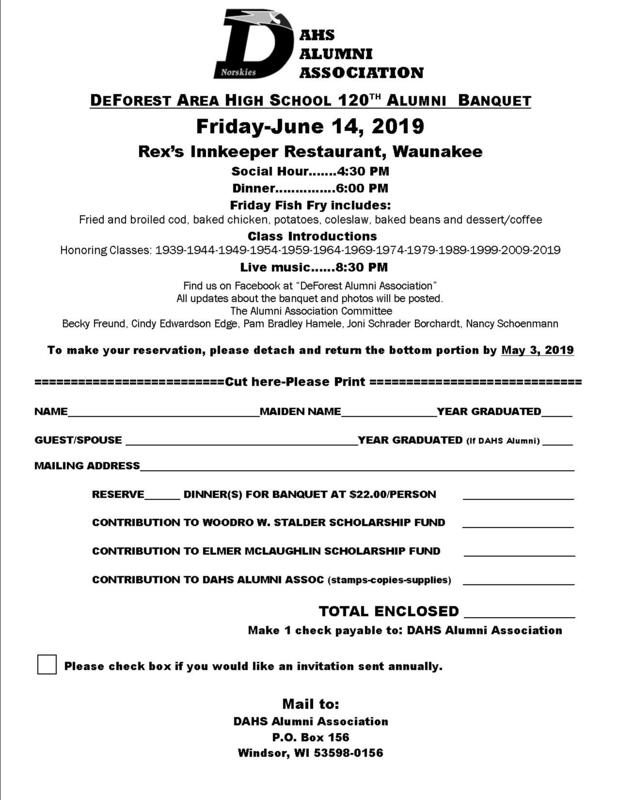 Contributions can also be made during the Alumni Banquet, or can be mailed to DAHS Alumni Association. P.O. Box 156, Windsor, WI 53598.